Right you are, Frederick! The key to a great operation and an excellent experience for your customers is the processes you put in place. That’s why this week’s installment of our new Holiday Series - created to bring you useful tips and tricks as we approach the Holiday season - focuses on the Singles Waves tool and process. The power of the Singles Wave process allows retailers to ship single item orders without having to think twice about it. Many of our customers are already using this process and are seeing anywhere from 10-20% improvement in their ship auditing process as a result. How? When you leverage good data there is less confusion and mistakes surrounding which product goes with which order. In fact, it becomes an almost foolproof means of getting your orders out the door in the quickest way possible. This is why we recommend that many of our customers (especially our Seller Fulfilled Prime retailers) move to a Singles Waves process. However, like everything in retail operations, Singles Waves processing isn’t for everyone and isn’t a one-size-fits-all solution. If you have any questions about if this is the right process for you, don’t be afraid to reach out to us. Before we get into the nitty gritty, you must ensure that you have Thermal Packslip Fallback enabled in your system config. Doing this will allow thermal packing slips to print with the shipping label. All set? Great let’s jump in! So what’s the benefit of doing Singles Wave’s? In short, a Singles Wave process allows you to ship single order items in batches in one seamless motion without having to restart the auditing process. This creates an almost assembly like motion to order fulfillment and decreasing the time it takes to get orders out the door. And for best practices, our customers that have a dedicated Singles Wave picker and shipper separated from the multi-item orders – who also have their own dedicated picker and shipper – see the largest improvement on reducing the time it takes to get orders out the door. To start the process of creating a Singles Wave, head over to the warehouse section in the RetailOps menu and click on Shipment Wave. You may recognize the screen from our last post creating wave presets. Once here, set your desired wave parameters and make sure to reference the ‘wave preview’ section to ensure that you are going to process the correct orders. Once you are happy, enter the name of the processing container. Here comes the most important part! Once a container has been selected and your parameters have been chosen, you must select Singles from the ‘Wave Type’ menu dropdown. Once Singles has been selected you can then press the Create button. This will trigger the Singles Wave to start printing, and allow your pickers to start doing what they do best… picking! Here is another great video of how to pick and process the Singles Wave. Once your pickers have picked all their orders, it’s time for the auditing! This is the stage where our customers really see an improvement in speed and accuracy. Why? Because during the auditing process, the auditor must scan the picking label, which in turn brings up the order with imagery (if taken), then scan the shipping printout to verify the correct order. RetailOps makes it very hard to ship out the wrong order. To begin, head over to the ‘warehouse’ section in the RetailOps menu and click on shipment audit. 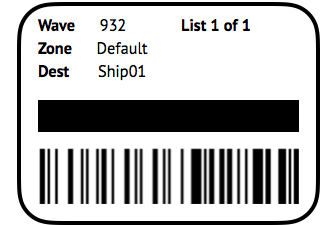 Next, scan a lot or pick label, OR select a shipment from the list on the left hand side to begin processing a shipment. The final step is when you select Close Box. 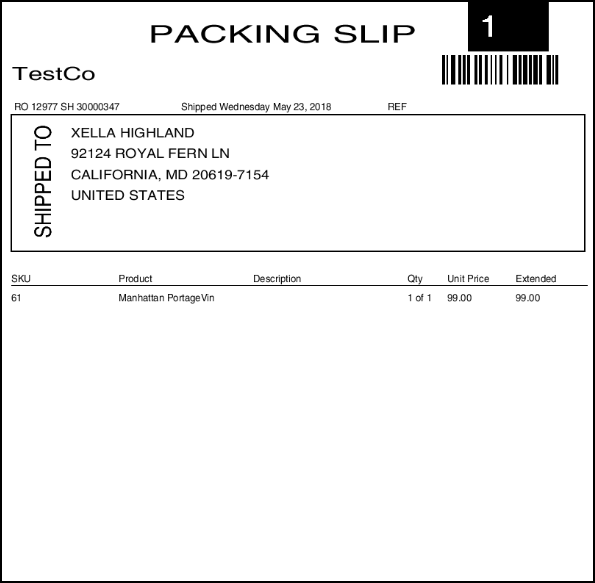 After this, the shipping label will print, as will a 4x6 packing slip (shown below). Tear off the packing slip, and place it in the box with the order. Check back next week for the next helpful Holiday Series article, where we will take a look at another important issue worth considering in the build up to November (the month of Black Friday). Take advantage of a FREE success plan tailored to your business. With this plan, our retail experts dive deeply into your operations and show you how you can improve your system. Find out what your operations can look like at close to 100% efficiency. It is completely free, with no strings attached - there’s nothing to lose!